Natalie F. Masters is a lifelong educator, with nearly 15 years experience in the field. She is passionate about teaching and learning. Natalie currently works for istation, developing an interdisciplinary, secondary-level reading curriculum. This curriculum is delivered via technology and takes students on a journey through storytelling and the archetypal hero's journey. Natalie previously worked as a client relations manager for a company providing web-based service delivery tracking and database management solutions for school districts nationwide. Natalie has been featured on Good Morning Texas for her knowledge and expertise in motivating students with learning disabilities in a non-traditional setting. A public school teacher, private tutor, business owner, student advocate, and assessment specialist, Natalie leverages her experience to bring up-to-date information about trends and polices in education which impact administrators, teachers, parents, and students. Contact Natalie at this address. Imagine you are dressing for a party. You have been planning your attire for weeks. You have purchased the perfect dress (bear with me, fellas), shoes, and jewelry to match. You try on the dress, examine yourself in front of the mirror, and – no! – you notice a snag in the dress. Right across the front, there it is. A most obvious, gnarly snag in your otherwise perfect party dress. Well, clearly this won’t do. You quickly evaluate your options. You could skip the party all together. You do have a few other dresses that could work. After analyzing and weighing all choices, you settle on an old favorite from the back of the closet, give yourself one last glance in the mirror, and head out to the soiree, feeling a touch disappointed but relatively put together. Now, what if we expand this metaphor a bit? Imagine you aren’t dressing for a party, but for a huge theater production, as part of the costumed chorus line? What if the costumes had been designed, selected, fitted, and purchased by a whole crew of stakeholders for the production? What if these stakeholders had decided upon and bought into every single detail of your intricate costume? And what if suddenly, while dressing for the production, you examined yourself in front of the mirror and – no! – discovered a snag in the costume. Right across the front. A most obvious, gnarly snag in your otherwise perfect costume. Well, clearly THIS won’t do, either. But here’s the catch. You’re not a lone wolf anymore. It’s not going to work to just change your costume. You really can’t even decide on or implement a repair strategy or any other solution without the knowledge, input, and buy-in of the stakeholders involved in the production. You can’t just grab the first replacement you see and go out there on stage, the only blue dancer in a sea of pink ones. This is simply not a change that can be made in a vacuum. Imagine the first scenario as a single person performing a single task. Sometimes, change can be made on the fly with little consequence. Imagine the second scenario as an instructional design/project team performing a series of tasks with a collective goal. Like everything else in the world of instructional design project management, change requires careful analysis, clear processes, and communication. 1. Milestones – Evaluation and analysis of a project’s success need to take place at more than just the finish line. Building clear milestones into the project execution plan enables ongoing project monitoring. These milestones can be based on completion alone, but ideally, they’re also based on quality. Ideally, each milestone has an estimated completion date, a party or team responsible (for accountability), and at least some form of a quality or completion measure so that team members and stakeholders can assess whether the milestone has indeed been accomplished towards the successful completion of the project. In keeping with our metaphor/example here, stepping in front of the mirror before the big production did not signal the completion of the production. If that production were a project being managed, that moment wouldn’t have been the finalization or delivery of the project. It would have been a milestone. The good news is that you stopped to look in the mirror at all. 2. Quality Controls – Throughout the execution of the project, quality controls need to be applied. These may be applied to the milestones, as described above, or they may be applied to the project processes themselves. In this case, perhaps a few quality controls weren’t executed, or a few milestone quality controls missed. Was the costume engineer supposed to give all costumes a final check before the production to ensure no rips or snags? 3. Change Management Processes – As you’re hitting milestones with project execution, and you’re applying quality controls to measure the success of those milestones, you’ll need to have clear processes in place for managing change. Chances are about 99.9% that at least one milestone or quality control will indicate the need for change. Change on a project requires analysis and evaluation. Stakeholders have to agree that the proposed change is beneficial to the project outcomes. And communication is critical. In our costume example, there might already be a process in place to satisfy the question, “What should I do if my costume is damaged?” Then again, there might not. Either way, the need for a change must be communicated. 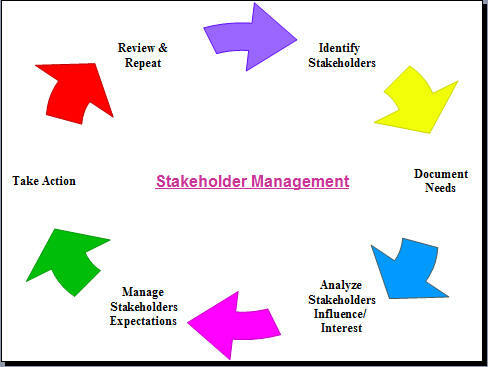 Stakeholders must analyze and weigh the options, and then, a change must be made and documented. Perhaps the costume procurer was wise enough to order backups. Perhaps there is a talented tailor on site. One can hope, right? No matter how well designed a project plan is, the inevitability of change upon execution exists. 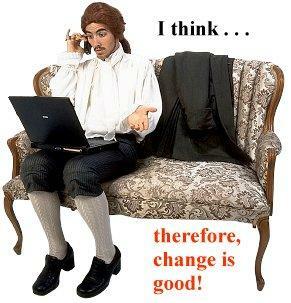 If the instructional design/project manager does not have a plan for managing change, the project will suffer. The timeline might suffer as change requests are accommodated. The product itself might suffer if the change requests are not properly or fully evaluated in terms of the big picture goals of the project. So the ISD/PM has to have a plan for managing change. It’s just as essential as having a good starting design. Change management as a part of project execution can be a tricky thing. The instructional design project manager has to ensure that processes are in fact in place, but at the same time, those processes have to be carefully designed so as to neither arbitrarily encourage nor discourage change. Change needs to happen when the project will benefit. But change cannot be such a free-flowing event in a project’s execution that it unnecessarily throws the whole project off track or extends the scope, schedule, or budget beyond stakeholder approval. Change-related documents may include a change request form, a change log, a change analysis/risk analysis form, and/or a change report. There are several tools available for developing strong change management processes. The bottom line is that without a solid change management process in place, your project is likely headed for stormy weather. Either no changes will ever be made, and the project is likely to contain gaps, flaws, or mistakes, or change will creep up on your project and soon turn out of control, extending the scope, the schedule, and almost always the budget for your project. In short, get a process in place. Know what to do when the costume fails three minutes before showtime. Because chances are good that no matter how awesome your project plan is, something will need to be changed. Rooij, S. W. (2010). 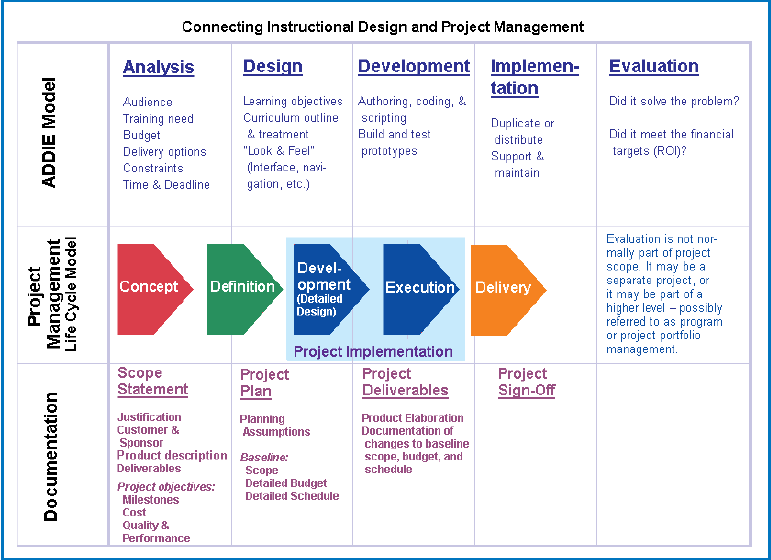 Project Management in Instructional Design: ADDIE is not enough. British Journal of Educational Technology, 41(5). As I’ve been examining the relationship between instructional design and project management, I’ve examined many critical facets. For a project management approach to effectively support instructional design, strong analysis has to take place on both fronts. Instructional designers have to carefully and critically analyze the needs of learners and of the environment or goals that instruction is designed to support. They have to understand the learners themselves, and they have to be able to articulate the learning tasks required in order for the implementation of the instructional design to be successful. They have to understand the development process and the roles of all the players involved. Design documents must clearly articulate the goals, instructional events, measurement standards, and development needs for an instructional design project. Project managers, on the other hand, have to carefully and critically analyze the project itself. They have to understand the stakeholders, the goals of the project, and the limits within which the project must be completed. They have to understand and be able to articulate the scope of a project and the many different tasks required to complete it. Not only that, but project managers have to be able to predict in a quantifiable way whether the project can be completed within the allotted budget and time. Project management documents must clearly articulate all of this. Clearly, communication is an absolutely critical piece of the puzzle. As an instructional designer tasked with project management, I understand the intrinsic value of design and project tracking documents. Through the act of doing the thinking and the work it takes to create them, instructional design project managers gain insight and deep understanding of the design project itself. But the documents aren’t just for the designer/manager. The documents have to COMMUNICATE so that stakeholders can understand and effectively contribute to the design project. One of the tricky things about communicating with stakeholders is that there are different bits and levels of information that different stakeholders need. High-level executives don’t need to understand the nitty gritty detail of a project. They don’t need to know how many multiple choice items need to be developed, or how many rounds of edits each piece of content must go through before being finalized. They don’t need to know which sources are used for research on the project, and they don’t need to know every task on every team member’s to-do list. Rather, they need to know the general scope of the project, its budget and timeline, and the general benefits of project completion for the organization. Content writers and other production team members don’t need to know the high-level budget for a project, and they don’t really need to know every nitty gritty task and detail on every other writer’s list. But they do need clear priorities, deadlines, and task lists for their own contributions to the project. One of the challenges I’ve faced as an instructional designer turned project manager lies in this very arena. I’m still exploring and learning tools and methods for communicating with all the appropriate stakeholders, providing each of them with exactly the information they need, no more, no less. An instructional design project manager has to be able to swing like a pendulum between the very broad, high-level aspects of a project (overall goals and scope, timeline, and resources) all the way down to the minutia. And all of the facets of a project must be documented and communicated. But moreso, just as an instructional designer must analyze the needs of a learner, and a project manager must analyze the needs of stakeholders, they must also analyze the information and communication needs of their various audiences. The documents created must communicate on the appropriate level for each group of stakeholders, and they must neither overload the recipient with too much detailed information nor leave out critical pieces. What I have designed as my attempt at a solution is a series of documents that work in a hierarchical fashion. We have the high-level program outline and scope and sequence for the curriculum, which list the overall unit themes and the primary targeted skills. We have the unit outlines and template designs, which list and describe each instructional segment within each larger unit. We have the overall project schedules, which provide estimated completion dates for the project milestones by unit. We also have the detailed task lists and to-dos which provide priorities and estimated completion dates for each smaller segment of the program. Everything is broken down into three categories – high, mid, and detail leveled information. This way, the documents I’ve created can be interpreted by the right group of stakeholders. In addition, I’m exploring the value of Basecamp in supporting communication at these varying levels. By creating and tracking a project at a high level, I can communicate with executives and other high-level stakeholders. By creating and tracking a project at the task level, I can communicate with and monitor progress among the individual team members. And by empowering team members to use Basecamp to create their own projects (projects within a project, if you will), I am empowering them to monitor their own progress and also encourage them not to skip critical tasks. I am very interested to discover the ways in which the use of a transparent, real-time communication tool such as Basecamp can help to ensure that all stakeholders have access to the appropriate levels of information regarding the larger instructional design project. Good instructional design is simply not enough to magically see a design project from its inception to its completion. Instructional designers require project management skills. Makes reasonable sense, given that instructional designs are projects, too. The project, not just the design, needs direction and management. But let’s dig a little deeper. It’s time to consider the delicate dance between these two professions and skill sets. It’s time to see what it looks like when project management drives an instructional design project. Let’s focus on the critical piece of task analysis. I’m currently working on the project plan for the second instructional unit of the curriculum I’m creating – Timeless Tales with Paige Turner – an online reading intervention for struggling secondary students. It’s important to note that I didn’t say “instructional design plan”. I said “project plan”. While the two work very closely in tandem, they aren’t the same thing. The reading comprehension skill targeted in the first lesson of the unit is identifying plot elements. When I designed this lesson, I followed a loose version of the ADDIE process. First, I analyzed the state assessments students have to take to determine whether questions about identifying plot elements were featured prominently. They were. Next, I analyzed student performance on these questions to determine whether students demonstrated a need for additional support or intervention with this skill. They did. Then I ranked the skill along a continuum to determine its placement within the overall program. I used Bloom’s Taxonomy and the logical progression of reading skills in my ranking system, until I determined that first, students needed to understand how to sequence events in a story. Only AFTER understanding how to sequence a story’s events could students break those events down into identifiable plot points. So, according to the instructional design plan, the skill of sequencing was taught in Lesson 1.1A, and the skill of identifying plot elements is to be taught in Lesson 2.1A. In order to determine exactly what to teach and how, I designed the primary learning objective for the lesson. The task statement comes directly from the state and Common Core standards for middle school readers. I created the conditions and standards to align with expectations on state exams and also to work within the technological boundaries of our program. The conditions and standards generally form what is known as a performance measure. The whole objective statement, when read together, presents a clear picture of exactly what students are expected to be able do at the conclusion of the lesson, under what conditions, and with what degree of accuracy to demonstrate mastery. Students will be able to identify the five major plot elements in a short work of fiction with 80% accuracy as demonstrated through their responses to multiple choice questions presented in an online format. This overall learning objective can further be divided into pieces. What exactly are these plot elements which students are expected to identify? This breakdown creates five objectives, five learning tasks. Many instructional designers or project managers would refer to these as main tasks. I’ll spare you the repetitive read. Just note that I created a separate objective/task statement for each plot element. Students will be able to identify the EXPOSITION/RISING ACTION/CLIMAX/FALLING ACTION/RESOLUTION in a short work of fiction with 80% accuracy as demonstrated through their responses to multiple choice questions presented in an online format. Students will be able to correctly define the academic term(s) EXPOSITION/RISING ACTION/CLIMAX/FALLING ACTION/RESOLUTION with 80% accuracy as demonstrated through their responses to multiple format questions presented in an online format. Students will be able to correctly identify examples of EXPOSITION/RISING ACTION/CLIMAX/FALLING ACTION/RESOLUTION with 80% accuracy as demonstrated through their responses to multiple format questions presented in an online format. If I were to order these learning tasks appropriately for students, they would FIRST need to be able to define the terms, then recognize isolated examples of them, and finally, they would be able to identify the elements of plot within a fiction text. 1. Create and deliver Lesson 2.1A – Independent Practice to production. 1.1. Deliver fiction passage to art for illustration. 1.1.1. Draft fiction passage with clear plot points. 1.1.2. Submit fiction passage to content editing. 1.1.3. Submit fiction passage to copyediting. 1.1.4. Revise and finalize fiction passage. 1.2. Finalize Plot Elements Graphic Organizer. 1.2.1. Create Plot Elements Graphic Organizer concept. 1.2.2. Submit to user interface department for rendering. 1.2.3. Obtain final Plot Elements Graphic Organizer from UI department. 1.2.4. Draft instructional dialogue and multiple choice questions surrounding plot points found within the passage. 1.3. Deliver instructional dialogue for scripting. 1.3.1. Submit instructional dialogue and multiple choice questions to content editing. 1.3.2. Submit instructional dialogue and multiple choice questions to copyediting. 1.3.3. Revise and finalize instructional dialogue and multiple choice questions. 1.4. Deliver script to production team. 1.4.1. Create lesson script using fiction passage, graphic organizer, instructional dialogue, and multiple choice questions. 1.4.2. Submit lesson script to multimedia team for functionality review. 1.4.3. Submit lesson script to copyediting. 1.4.4. Revise and finalize lesson script. 1.5. Deliver reporting matrix to engineers. 1.5.1. Update skills matrix document for the lesson to reflect the number of multiple choice questions and number of correct responses required for 80% mastery. 1.5.2. Post skills matrix document for engineers. In this way, the instructional design outlines what students are expected to do, while the project plan outlines what the instructional designer has to do in order to complete the lesson. There are some good resources out there for task analysis, which can support instructional designers in determining and outlining their project tasks. First of all, the learning tasks should be sequenced according to the order in which students need to be able to do the tasks. This makes for a logical, sequential lesson. It also ensures that students master the basic pieces or steps before being expected to master the overall learning objective. The same goes for project tasks. They should be sequenced according to the order in which they should be accomplished. The five main tasks above should be completed in the order listed. The secondary, or sub-tasks beneath each should also be completed in order. Another thing to note is that in a systematic instructional design, many project tasks will be repeated, with slightly different content. Task #1 is to deliver the independent practice segment, because I’ve chosen to begin with the assessment and then build the lesson around it. Task #2 for this lesson will probably be to deliver the introduction/teaching segment, in which the terms will be defined, and isolated examples presented. Most of the sub-tasks here will be unique to that segment. However, when we get to Task #3, the guided practice segment, which uses another passage and more multiple choice questions, most of the sub-tasks from Task #1 will be repeated. When the process for completing an instructional design project is well-defined, every task is not unique. The tasks repeat themselves BECAUSE the process is solid. (Draft, edit, revise, finalize.) This is no different from any other logical process. The instructional designer or instructional design team can see the goal ahead and then follow protocol, or a series of repeating steps, to accomplish that goal. Systematic doesn’t always mean boring. Sometimes, it means efficient. Churches, A. (2009). Bloom’s Digital Taxonomy: It’s not about the tools. It’s about using the tools to facilitate learning. http://edorigami.wikispaces.com. Rooij, S. W. (2010, November 5). Instructional design and project management: complimentary or divergent? Association for Educational Communications and Technology. Texas Education Agency. (2009). Texas Essential Knowledge and Skills: English Language Arts and Reading (Figure 19). Austin, TX. That’s a question middle school readers have a unique chance to answer with the newest interactive reading experience from Istation. Istation provides reading assessments and individualized instruction for pre-K through high school students. Istation Reading consists of an interactive, computer-based program as well as a comprehensive series of teacher-directed lessons (Istation, 2012). Currently in development is Timeless Tales with Paige Turner, an interdisciplinary reading intervention designed for struggling students in grades 6-12. Timeless Tales with Paige Turner is designed to support student achievement in reading. The curriculum aligns with state and Common Core standards in English Language Arts and Reading. The curriculum also aligns with Istation’s ISIP-AR assessment, a progress-monitoring tool. ISIP-AR, or Istation’s Indicators of Progress – Advanced Reading, is an automated computer-adaptive test to which students are automatically routed at set points throughout the school year, depending on the level of product purchased and the assessment and instructional goals outlined by school administrators (Istation, 2012). Ideally, as students progress through the curriculum, their scores on ISIP-AR should demonstrate growth. The feature character for Timeless Tales, Paige Turner, is an artist, writer, traveler, collector, and storyteller. She is fascinated by storytelling and the archetypal hero’s journey. Paige channels her excitement into creating an ongoing graphic novel series. Paige deeply believes in the potential hero within everyone. Paige deliberately studies the craft of storytelling and shares her knowledge at every opportunity (Masters, 2012). The ultimate goal of Timeless Tales is that students who have struggled in traditional classroom environments will learn, internalize, and generalize vital reading comprehension strategies that will serve them and support their success in future academic endeavors as well as in their lives and careers. 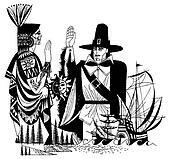 The Timeless Tales curriculum consists of ten units of instruction. These units span themes related to humanities and social studies from prehistoric times to the present, and include a variety of fiction and nonfiction texts. Each unit contains two main reading comprehension lessons. The first lesson targets a comprehension skill which aligns with the lower three knowledge levels on Bloom’s Taxonomy: remembering, understanding, and applying. The second lesson in each unit targets the higher three levels on Bloom’s Taxonomy: analyzing, evaluating, and creating (Chapman, 2008-2010). The first lesson in Unit 1 (Lesson 1.1A) targets the skill of sequencing, or putting the events in a text in order. The second lesson in Unit 1 (Lesson 1.1B) targets the higher-level skill of making inferences. Lesson 1.1B is delivered online and teaches students to follow a metacognitive process to make inferences about the world and about the texts they read (Istation, 2013). Like all Istation Reading lessons, Lesson 1.1B – Making Inferences is delivered online. Students typically interact with the curriculum in a computer lab setting, using headphones. Sometimes, students use the program in their classrooms. Students can access the program from home, too. The program follows a linear path, but students’ individual experiences are somewhat driven by their responses. Instead of presenting the “Who Stole the Mona Lisa” passage in to students as a single, complete passage and then presenting students with a series of multiple-choice questions at the conclusion of the passage, instructional designers at Istation decided to create an interactive reading experience for students that gives them a sense of choice and control throughout the lesson, provides an engaging visual environment, and measures their success at making inferences by tracking their unique responses at set checkpoints throughout the lesson. The overall approach is a hybrid of a role-playing game experience, an action maze with fixed navigation options, and questioning which promotes annotation, critical thinking, making inferences, and overall reading comprehension. All of the material will be presented in a visually engaging way. The instructional design for the “Mona Lisa” guided practice segment is projected to have multiple benefits to students. Even though technological and practical limitations exist in the construct of the described learning experience, at its core, the instructional design promotes student engagement and motivation. When students are empowered with a sense of control over their own educational experiences, “they feel they have a stake in the outcomes” and this is one of the “most powerful tools [educators] have” (Toshalis & Nakkula, September 2012). Although the Istation technology behind the learning experiences contained in this guided practice lesson does control students’ path through the program and therefore, their experience, the illusion of choice and control may very well be enough to improve motivation. By asking students reflection questions to which there are no clear right or wrong answers, even in the context of this detective story, instructional designers at Istation hope to achieve elevated achievement by promoting student voice and choice, which has been shown to lead to “better self-reflection and preparation for improvement in struggling students” (Toshalis & Nakkula, September 2012). When a learning activity presents information in manageable chunks rather than an overwhelming volume of information and shifts its focus to open-ended critical thinking questions, for which there are no clear right or wrong answers, the demotivating drudgery of standardized learning activities is counteracted and learning seems to “begin and end with the thoughts, feelings, visions, and actions of the students themselves” (Toshalis & Nakkula, September 2012). This is empowering. And simply, empowerment is motivating. This is a very exciting time for all of us at Istation, as we incorporate best instructional practices, new educational technologies, and engaging and creative texts, images, and animations into the design and development of our newest program. Keep checking back, and check out the links below, for more information and updates on Timeless Tales with Paige Turner! Kuenster, D. “Who Stole the Mona Lisa, Part 1″. Istation, Dallas, TX. McDonald, J., & Gibbons, A. (June 2009). Technology I, II, and III: criteria for understanding and improving the practice of instructional technology. Educational Technolgoy Research & Develoment, 377-392. Toshalis, E., & Nakkula, M. J. (September 2012). Motivation, Engagement, and Student Voice. Education Digest, 78(1), 29-35. As a single mom balancing a career and grad school, I’m not sure what I’d do if my coursework at Post University didn’t cleanly align with my work as an instructional designer at Istation. I’ve been working on Timeless Tales with Paige Turner, an online reading intervention for struggling middle school students, about as long as I’ve been studying instructional design and technology at Post. My coursework has guided the design of the curriculum I’m building all along. It’s kind of a beautiful thing. In the world of education, we often talk about how students need to be able to apply what they’ve learned in the most authentic setting possible in order to gain a deep understanding, to generalize and internalize their new knowledge. In my case, as a student, that’s exactly what I get to do. As I initially developed the broad themes and content for the curriculum, I took classes about the general state of education and the growing implications of technology in education. I took classes about the population of students currently working their way through the system. I studied the processes of the brain, measured and analyzed data, and immersed myself in research about how humans learn. I studied standardized test scores, data about poverty and its impact on student success, and research about how the 21st century student thinks and functions differently than the 19th or 20th century student did. I learned how technology is impacting our global economy, and discussed with my colleagues the myriad ways new trends in technology will likely impact the types of skills that today’s students will need in the future. As I was learning these things, I designed the scope of the program to align with who its users would be. I thought about content that would get the attention of a would-be dropout. I thought about the social media world and how we might leverage it to build opportunities for collaboration. I thought about the English Language Learners making their way through America’s school system today and designed language supports to meet their needs. Every new piece of information I devoured was deliberately applied to the overall design of Timeless Tales. During my first year at Post, most of my work at Istation was theoretical, in that I was mapping out the path students would take through the program. I studied the state assessments to pinpoint the skills they’d need in order to graduate. Then, I planted these skills in the context of the overreaching theme of the hero’s journey and the power of storytelling to shape and impact human history. I wanted the program itself to tell a story. I wanted to give struggling and demotivated teenagers a reason to master the skills the education system deems critical for their success. But more than that, I wanted to empower them. Our world needs problem-solvers. We need innovative thinkers who can create solutions. Timeless Tales is a reading program. But the value of being able to read and comprehend texts does not end at the edges of the academic world. Reading really is power. Mastery of reading is synonymous with mastery of the new world. History shows that a lack of access to information can cripple entire populations. We’ve got a dropout problem in the U.S., and if these kids can’t read by the time they leave school, they are at a grave disadvantage. The information highway is perhaps the most empowering technological advance ever devised. If you want to know something, all you have to do is get online and read about it. It really is that simple. But even further, if you want to transform knowledge into a vehicle for change, you’ve also got to be able to think critically about what you read, to analyze and synthesize information, to use what you know to create something new. As a curriculum designer, I wanted to shape a virtual experience that could help empower these students. I wanted them to know that they can tell their own stories, shape their own futures, and use the skills and talents they have to make the world better. And I wanted to give them access to the tremendous wealth of knowledge available today. As I moved on to the upper level courses focused on leveraging technology tools for instructional design, the production of Timeless Tales started to take off. We moved from the high-level goals, the analysis of needs, and the design phases into the nitty gritty of development and production. The first 600-level course I took focused on the ADDIE design model. I don’t think that ADDIE is necessarily the end-all, be-all of instructional design, but working my way through it enabled me to create legitimate design documents that helped bring my vision for Timeless Tales into reality. I was able to follow a process to communicate my vision to the entire production team, and I was able to use documentation of my research to justify the program’s layout to our educational consultants and upper management teams. So I’ve got goal. I’ve got a map. I’ve got buy-in. Now, what does it LOOK like? That’s where my current course on the integration of technology into teaching and learning comes in. With a focus on authentic and motivating learning experiences, we’ve delved into technological tools and lesson designs that can deeply enrich a curriculum like Timeless Tales. Seven weeks ago, I began this course. In seven weeks, we’ve organized a game-based learning team to brainstorm ways to translate educational objectives into fun and engaging games that accurately measure student success. We’ve scrapped standardized, multiple-choice style assessments in several areas of the program. Last week, one of our engineers sent me fifty ideas for game-based learning experiences. A brand-new programmer designed three vocabulary activities around the idea that students should have high-level conceptual understanding of words as well as the skill of being able to plug those words into appropriate contexts and sentences. Our lead engineer designed an infrastructure wherein students will be able to annotate texts, share their annotations with others in the program, and refer back to them anytime. Our creative director has mapped out three different role-playing scenarios to replace three learning activities that consisted of students’ reading a passage and then answering some questions. We’ve generated new content, new stories to tell. We’re writing about real-life heroes solving real-life problems. We’ve created a library of texts written on a level that a struggling reader can actually access and understand, and we’ve created choice-based incentives for them to explore the richness of the new content we offer. In short, what I’ve learned in this course has directly impacted the development of Timeless Tales. We’re on a renewed mission to innovate, and every step we take remains aligned with our ultimate goal – to create a positive and empowering reading experience for a kid who may not even care anymore. We’re trying to tell a really important story – the story of people and what they can do to shape the future. And we’re working really hard at designing Timeless Tales to engage students with a variety of technological tools. Moore, D. L. (n.d.). Why Vocabulary Instruction Matters. Best Practices in Secondary Education. Tapscott, D. (2008). grown up digital. McGraw Hill. Thagard, P. (2005). Mind: Introduction to Cognitive Science (2nd ed.). Cambridge: Massachusetts Institute of Technology (MIT). Zirbel, E. (n.d.). Teaching to Promote Deep Understanding and Instigate Conceptual Change. Tufts University. If we’re sticking to the merits of ADDIE, or at least considering that it’s got merit, it only makes sense to take the “E” pretty seriously. By evaluating our instructional designs at every stage, we can continue not only to improve them, but also to ensure that they are meeting the needs of our students and schools. To effectively evaluate any instructional design, it is necessary to choose the right tools. It makes sense to analyze evaluation tools and consider how they may or may not provide the information sought at any given stage of the instructional design process. In this case, I focused on an evaluation tool that might be able to provide me with good information about users’ experiences with the technology-based curriculum I’m currently developing. As the first segment of the program hits production and is released, I’m interested in obtaining user feedback. I want to know what students, teachers, and administrators think about several specific components of the program, a piece of Istation Reading called Timeless Tales with Paige Turner. Historically, my company hasn’t invested extensively in field testing and/or this type of evaluation. So I also wanted to know how much bang we could get for our buck. This review isn’t technically supposed to focus on Survey Monkey’s website, but the marketing and sales professional I was in a former life compels me to give it a mention. Immediately upon arriving at Survey Monkey’s site, I was greeted with the answers to my biggest questions, and in a friendly, easy-to-manage format. I understood what Survey Monkey was, saw at least five potential industries/arenas for its use, and could have signed up instantly. From the first page, I learned that I could design surveys, collect the results, and analyze the data. I learned that these surveys could be used for market research, education, customer satisfaction, nonprofits, and human resources. There were also hints to extra features like targeting a specific audience, and a few links at the top just in case I wanted to learn more, which I did. Because I’m most interested in using Survey Monkey for evaluating user attitudes and the overall effectiveness of a technology-based program designed for middle school students, the first link I clicked took me to Survey Monkey’s education page. Here, I learned about several different uses for surveys in education, which definitely piqued my interest and gave me some good ideas. I also noted the customer testimonial from a Samsung professional, and again, my inner marketing professional couldn’t help but give kudos to Survey Monkey’s web designers. Nice touch. Next, I went back to home and clicked on the “How it Works” link. There, I discovered a pretty nice set of features offered by Survey Monkey, though I suspected they couldn’t all possibly come with the free edition. I was right. A quick glance at the features page, and my wheels were already turning. We can brand these surveys with our company logo? Target audiences for specific purposes? Get reports to help us analyze the data obtained from the surveys? I learned more as I ventured further into the website. The plans and pricing structures are clearly outlined via one of the homepage links. There, I learned that custom-branded surveys cost upwards of $700 per year. That’s the fanciest plan. Other plans offer various feature packages at various price points. The free version offers ten questions and a hundred responses per survey and a host of web-based tools. I signed up for free and went from there. Once I created my account, I was greeted with a welcome page. To the right was an opportunity to upgrade. I did not. The create-a-survey page offers tips and various levels of support. When I clicked on the button to create a survey, I was then directed to a new page where I had opportunities to customize my survey, add questions and pages, create headers and titles, and more. The navigation and tools here were intuitive and clear, for the most part. I got started right away, creating a general survey designed for teachers and administrators, which I hoped could provide insight into their first impressions of the Timeless Tales program. Right away, I was faced with my first problem. I’m a visual person, and I like to have control over the visual design of anything I do or publish. I love WordPress because I get to pick the themes, colors, and layout for my blog. I have enough control, and enough basic HTML knowledge, to be able to tweak the overall look and feel of my blog at will. Of course, before I started building content for my survey, I wanted to play with the look of it. It didn’t take long before I realized that I wouldn’t be able to create a survey with red accents to match the Istation branding and logo, because red wasn’t available as a ready-made template. To customize a theme, I’d have to upgrade to the pricey “PRO” package. Unfortunately, this information was conveyed via a banner at the top of the customized theme page, which didn’t prevent me from spending time attempting to customize my survey’s appearance. I fiddled with colors, fonts, and layout a little, and then realized I’d have to upgrade to save my changes. This was disappointing. I also considered whether I wanted to generate questions from scratch or take advantage of the various template surveys available. I clicked on the option to create an “Education” template survey. However, as I browsed, I realized that of the twenty-one education-related surveys available, only five of them are available to users with free accounts. If I wanted to take advantage of the other sixteen templates, I’d have to upgrade to PRO. At this point, I decided to create my own, fairly generic-looking survey using the Survey Monkey “Question Bank” as a resource. The site claims that the question bank contains thousands of “certified” questions and also claims that these questions are worded in such a way as to eliminate bias and generate usable results. Because my survey is very particular, I couldn’t just click to grab the stock questions, but I did find perusing them helpful in generating my own questions. I liked the question generation tool and found it very easy to use. I liked that it offered many types of questions and allowed for editing, even once the questions had been generated. I liked that there were multiple-choice questions, ranking questions, open-ended questions, and more to choose from. Between perusing the question bank and playing around with multiple question types, I felt I could easily create an objective survey with relative ease. In the end, I ended up with a Timeless Tales Intro and Lesson 1.1A survey which I think I can present to the higher-ups as an example of the kind of information we could gather from a full-scale field study. I’d like to send it off to several of my teacher friends, along with access to the initial release of Timeless Tales, currently hosted on our development server, and see what they think. I’m certainly not going to shell out $780 for the PRO version of Survey Monkey, but I might be able to convince my company to do it. I think the tools available might be worth the cost. I’ll have to research a little deeper if I want to build a solid argument for Survey Monkey as a viable business tool. In the meantime, I’m reasonably satisfied with what I was able to accomplish with my free account. I can see potential for internal use, too. I could send a survey to the members of our Istation Education Committee, who review and comment on each piece of the program as it is released. With such a survey tool in place, I might be able to help control their feedback, help keep the committee’s feedback productive and useful, help keep our focus targeted. I feel that surveys like this can not only help instructional designers when we receive the feedback, but can also prove useful in their very generation. By deciding on the types of questions to ask, we are also articulating what exactly we want to know. In short, asking the right questions of our instructional designs can be just as critical a step toward successful evaluation as collecting and analyzing the answers to those questions. And that’s an outcome worth monkeying around for! Jackson, A. G. (2009). Curriculum Integration: The Use of Technology to Support Learning. Journal of College Teaching & Learning, 71-78. As an instructional designer for Istation, my entire world these days revolves around ways to integrate technology, teaching, and learning. One of the traps of educational technology is the tendency to use it to do exactly what wasn’t working in the classroom. Not only do instructional designers have to be creative about the use of technology itself, but we have to be creative about our instructional approaches. The challenge when designing instruction specifically for use with technology tools is marrying the best instructional methods possible within the parameters of the technology available. When I started with this program, it was not much more than a nebulous idea. The teacher character’s name is Paige Turner. 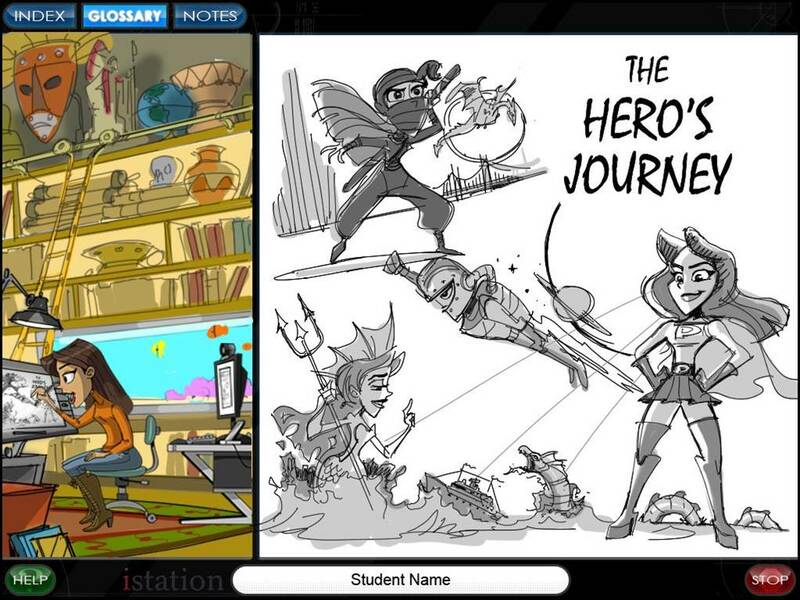 We want to incorporate the hero’s journey, mythology, fables, folklore, and social studies standards. We want to expand the types of activities included in the program. Now, let’s fast-forward two years to where we are today with the program, now called Timeless Tales with Paige Turner, which is a part of Istation’s larger Advanced Reading Curriculum. We’ve organized the state and national standards, ranked them according to Bloom’s Taxonomy. We’ve created a logical scope and sequence. We’ve fleshed out Paige’s character, creating her as a graphic novelist, a blogger, a world traveler, and a writer. We’ve selected humanities-based themes for each of the program’s ten instructional units. We’ve built frameworks for instruction in reading comprehension, vocabulary, word analysis, text fluency, writing, grammar, and self-selected reading. Most notably, and also most recently, we’ve also created templates for each activity, so that every lesson begins with metacognitive strategy instruction and an explanation of terms. Then we introduce a guided practice activity surrounding a story or nonfiction text. We finish each lesson with an independent practice activity that mirrors what students will experience on their state reading assessments each spring and also aligns with our own separate benchmark assessment. However, as we’ve developed these templates, which both lend research-based structure to the lessons and also smooth the production process, we’ve been faced with a new challenge. We know that “our assumptions about instruction, learning, learners, and design can lead to the creation of formulaic instruction”(McDonald & Gibbons, June 2009). And we know that formulaic instruction isn’t always the most effective approach. How do we keep a predictable lesson structure from being boring? How do we keep things fresh, use new and interesting activities, and get students involved in ways that will actually activate their prior knowledge and allow them to make connections between what they’re learning and the real world? How do we integrate technology, teaching, and learning in a fun, meaningful, and engaging way? School districts that have successfully led school turnaround and improvement efforts recognize that education technology is one of the best ways to accelerate reform, providing the immediate tools to ensure that all teachers and students have access to the latest innovative instructional pathways. If we are serious about school improvement, we must be serious about education technology. If ed reformers and districts ready for change are serious about education technology, then we as instructional designers must be serious about creating what they call “the latest innovative instructional pathways.” Period. One of the answers we’ve played around with is game-based learning. As a company, we’ve always incorporated games into our programs, but they have been somewhat rudimentary and have typically focused on the lower levels of Bloom’s Taxonomy. This time around, our challenge is to create gaming experiences for students within the guided practice segments of the lessons that activate higher-level thinking skills and allow them to make authentic connections to their learning. We’re not alone. “Developers and researchers are working in every area of game-based learning,” from entertainment to education and training (Johnson, Adams, & Haywood, 2011). We’ve been tossing around the idea of using the classic Role-Playing Game (RPG) format because we can incorporate enough text to require reading comprehension and because they’re flexible enough to allow for higher-level questioning. Students might encounter three doors and six or eight symbols. On each door would be written a blurb or scenario. Nearby would be a large reference book with the meanings of the six or eight symbols. Students would have to select the symbol most appropriate for each door and then use the symbols to unlock the doors. Payoff behind each door. Here we’ve been brainstorming ways to convey how the various members of a film crew contribute to executing the producer’s or the director’s vision for the film (the “author’s purpose). We could have a film production meeting, have each character share their ideas for their contributions (costume designer might have two or three costume style suggestions, set designer might have two or three set design ideas), and then the students would have to choose which of their ideas would best contribute to the given purpose/intended feel/direction for the film. 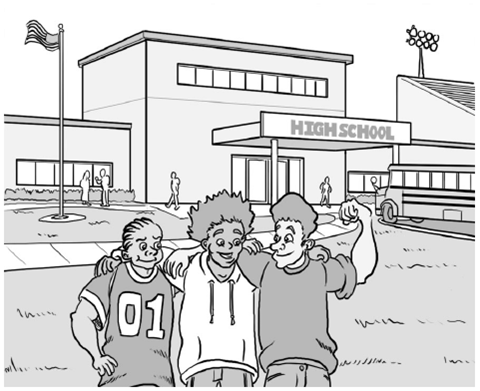 Students could interact with two characters who tell widely varying accounts of the same story. Then, they could answer questions about each character’s point of view and evaluate the accuracy of each version of the story. The idea is to show them that the same story can be told from varying perspectives. Payoff would be to find out what really happened. It might be a tried-and-true educational method to simply introduce a skill, give students an opportunity to practice with a graphic organizer or a multiple-choice format, and then to assess their mastery of that skill. However, the students who will be using our program are those who have not been traditionally successful in the classroom. What makes us think that doing the same thing on-screen that we tried in 3D is going to work? Isn’t there some old adage about doing the same thing over and over and expecting different results? Well, this time, Timeless Tales is going out on a limb. So, we’re going to build some old-school games with modern style, pepper in some real-life connections, and see how the kids using our program respond. I am genuinely excited! National Research Council. (2002). Learning and Understanding: Improvinig Advanced Study of Mathematics and Science in U.S. High Schools. Washington, D.C.: The National Academies Press. In this, my fourth and last installment in this series on instructional design, I felt it fitting to reflect on some of the theories and techniques behind the practice of building effective instruction. Several years ago, I partnered with a former teacher colleague of mine and opened an innovative tutoring company called Unlock the Box that provided targeted, hands-on, experiential learning opportunities for struggling students. Our focus was on giving students the tools they needed to take charge of their own learning, as well as giving them the confidence they needed to actually use those tools to succeed. Our students weren’t successful in traditional school environments, so we were endlessly creative as we designed outside-the-box learning experiences for them. To teach geometry, computation, and interpersonal skills, we had a team of students collaborate to build a clubhouse outside our learning center. To teach the parts of the brain, we hosted a glow-in-the-dark scavenger hunt wherein we transformed the whole center into the inside of a brain and had students practice performing fun tasks which used the various parts of their brains throughout the lesson. To practice spelling words, students bounced on a trampoline and made up jumps to go with the letters in their words. Besides being a whole lot of fun, creating these kinds of learning experiences for students was so rewarding. This wonderful combination of hands-on learning, higher-level thinking, collaboration, and metacognitive strategies actually worked. Our students progressed exponentially. It felt almost… miraculous. It was extraordinarily satisfying to see how engaged students were as they were learning, to watch them grow in their knowledge and skills, and most of all, to witness their confidence building as they transformed these genuine learning experiences into academic and personal success. One of the challenges I now face as an instructional designer for an educational technology company is creating positive learning experiences for students within the limitations of two dimensions. We can’t go outside and blow bubbles to learn how to measure wind direction. We can’t build the parts of a cell out of pipe cleaners and felt. We can’t make fossils out of paper mache or paint the whole wall with neon math facts. But as instructional designers, we still want to activate students’ prior knowledge, build meaningful learning experiences for them, and focus their attention on the mastery of critical skills. Not only that, but we want to encourage students to use transferrable, higher-level thinking skills in an online environment. I’m not sure enough can be said for the value of modeling. When students clearly understand what is expected of them, they are bound to be more successful. This is a good thing. And showing them what it looks like or sounds like to successfully complete a task or demonstrate a skill gives them something tangible to remember. 2. Provide multiple and frequent opportunities for students to interact with the learning environment. I remember taking a community college course back in the early nineties – by VHS. I had to sit there for what seemed like endless hours just watching a video lecture on American History up through 1865. It was the closest thing to actual torture I can remember ever enduring. No matter how much information a designer has to convey, the more students get to interact with the content and/or the learning environment, the more engaged they will be. Don’t just display a graphic organizer and tell them how it works; instead, have students click on each section to reveal the content contained within. Don’t just display and read through a list of vocabulary words on-screen. Have students click on each word to explore its meaning. Let them drive the learning experience as much as possible. Even when the online learning environment restricts the degree to which assessments can be authentic, it is possible to activate higher-level thinking skills by asking the right kinds of questions. Instead of asking students to recall information, ask them what they’d DO with the information if given three or four possible options. The e-Learning Coach offers three tricks for asking good multiple choice questions. Read ‘em and use ‘em. She knows what she’s talking about. 4. 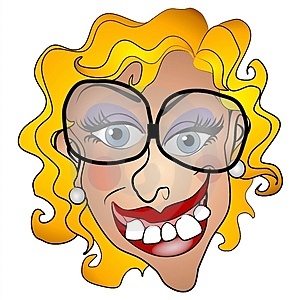 When using avatars, make them likable. One of the most profound lessons I learned as a teacher through my experiences at Unlock the Box Innovative Learning was that students learn more through relationships with others than they will ever learn through text. When they feel safe and comfortable in the learning environment, and especially when they trust their instructors, students’ brains are open to learning. They’re ready to receive. They want to know more when they like and respect the person teaching them. Otherwise, they’d rather just find out on their own. Since the online learning experience is often instructor-driven by necessity, it’s important to create characters and avatars that students LIKE. Create encouraging dialogue. Don’t just tell them they’re wrong when they make mistakes, model another way to think about the question. Make them laugh. Don’t be too serious. And most importantly, allow avatars and characters enough time with instruction that struggling learners don’t feel rushed. The beauty of using avatars and characters in online learning environments is that designers can create wonderful and supportive personalities. Take advantage. Not everybody is as cool as that. If the ultimate goal of any instructional designer is to create a course that imparts knowledge and changes behavior, then the development phase of ADDIE is the ultimate test for the instructional designer. Depending on how things go, it might be a plateful of Humble Pie. Does the Visible Work Match the Invisible Work? See, when you get past all the thinking that goes into the analysis and design phases of ADDIE, in the development phase, it’s time to actually create the course. It’s sort of like the midterm exam for the instructional designer, because this is the part in the process where the designer gets to test whether he or she conducted adequate analysis up front and/or whether he or she thought of EVERYTHING in the design plan. See, if all the nearly invisible work of instructional design wasn’t done thoroughly, with careful consideration of the audience, the organization, the goals, the learning objectives, the desired outcomes, the environment, the technology and materials available, the mode of delivery, and the facilitation of the learning experience, then the development phase is going to reveal any and all critical mistakes or omissions. Not only that, but the development phase presents new opportunities to make decisions, and each must be carefully weighed against the goals and objectives of the instructional design project. If you’ve analyzed thoroughly and designed instruction well, then development should be smooth and satisfying, like a cold drink on a hot day. If you haven’t, it’s going to get bumpy. The materials won’t match your objectives. The questions you ask of learners won’t actually assess their mastery of the content. The materials will be patchy, or confusing, or worse – ugly! So what happens if you get to the development phase and you realize that it’s time to backtrack a little, time to reassess whether what you’re actually creating is what you intended to create? Team – Work or Play? The development phase also offers opportunities for collaboration. At this stage of the game, most instructional designers have to play nice with all the others involved with the project. They’ve got to be excellent communicators (and we’re back to the efficacy of the design plan here), so that everyone involved understands what deliverables are needed and envisioned for the project. Instructional designers get to be financial planners and project managers, too. Are the materials within budget? Does everyone have a clear idea of their roles and responsibilities in the development phase? Do the art, graphics, engineering, authoring, and management teams agree on the look, feel, and outcome of the instruction? What about technology? Will the designer build the course himself, like Pa Ingalls built houses in the Little House series? Or will the designer need to rely on an army of others to see his instructional vision come to life? And of course, the development phase offers opportunities for testing. Depending on the scope of the project and the budget allowed, the designer may simply present prototype materials to a single decision maker for review. Or, the materials may be subject to committee review. Or, formal pilot testing may be implemented. Even the best laid instructional plans with the most savvy and talented development teams behind them are going to reveal room for improvement. It may be as simple as adding more graphics or changing a font. The testing may reveal that some of the learner activities which the designer envisioned as absolutely captivating may be as boring as watching hair grow, or that they don’t match the evaluation or assessment of content mastery, or that the interface isn’t user-friendly, or that learner evaluations don’t really measure what they’re supposed to measure. Because analysis and design are both incredibly detailed, but relatively high-level phases in the process by comparison, the development phase takes instructional design down to the nitty gritty. The good news is that it also allows opportunities to make adjustments, to be creative with solutions, to nudge or tuck or bend just enough so that the final product matches the designer’s vision. This is a good thing. Of course, for many instructional designers, not to mention the management teams who anxiously await the product of all those dollars they’ve pumped into a project, the development phase is the best part of the whole process. It’s the part where they get to see all the analysis, all the planning, all the design considerations and vision and goals and objectives take shape. Everything they’ve thought and discussed and measured and considered over the course of the process so far starts to happen. When the process of instructional design is working, development is the incredibly gratifying “AHA!” moment. It’s the birth of a vision. And that’s pretty cool.